At The JAE Company, we understand that the design process begins with you. Our customers expect a selection of quality products to suit every style and budget, so we have chosen manufacturers synonymous with selection, quality, and value. 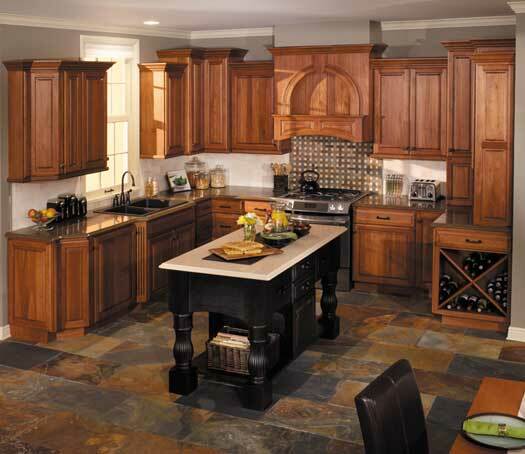 Cabinet pricing varies by door style, wood species, finish and cabinet construction. Our experienced designers will guide you through the cabinet design process to achieve the look you desire for your home. The collaborative process we employ considers your daily living practices and the latest in cabinet design and functionality to assure your kitchen is expertly designed and within your budget! We are a proud supplier of KraftMaid cabinets. KraftMaid is an industry leader and one of the largest built-to-order cabinet manufacturers in the United States, helping more customers create the home of their dreams than any other cabinet manufacturer in the world. Why do we build with KraftMaid? Because semi-custom kitchen cabinets give you the perfect blend of style, selection, and affordability.